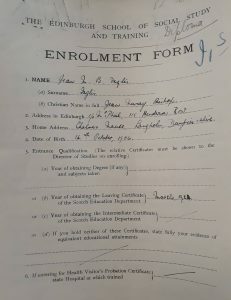 From 1 October 1928 The Edinburgh School of Social Study and Training, established in 1918, was to be incorporated into the University. Students at the school had been entitled to a university qualification since 1922 but they were now to become students in the newly created Department of Social Studies and Training with Miss Nora Milnes as it’s director and also lecturer in Social Economics. Professor Kemp Smith at the University’s AGM said the move recognised that “a new profession was coming into existence”. Who were the students who wanted to pursue this new profession? Where did they come from and what became of them? And how, in the first 20 years, did this new university course develop? Some answers to these questions can be found in the collection of student admission files belonging to the department and covering the period from 1929-1956. As with any records containing personal information they are subject to Data Protection regulations, however the earlier files can provide a wonderful insight into the interests and progression of some of the department’s very first students. On their application forms, each potential student was asked to explain why they had chosen this career path. It is quite remarkable how the answers to this question, although varying in detail, all allude to the overriding wish to work with people and not things, and not just to work with people, but to help them overcome whatever difficulties they may be facing. Being of use to the community and pursuing a worthwhile career also frequently appear as reasons. One student showed particular dedication by stating they wanted a career that “did not finish on leaving the office”. Students came from India, Singapore, Australia, USA, Burma and all over Europe. 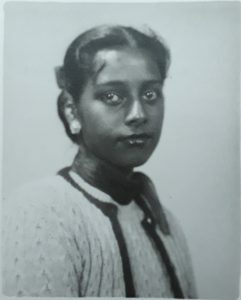 Marlene Kwok hailed from British Guyana and attended Edinburgh University 1955-1956 graduating with a Certificate in Social Study. 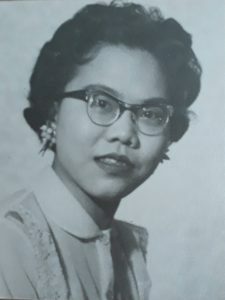 She returned home and wrote to Marjorie Brown in 1961 saying she was awaiting the general elections in August that year when the country’s new constitution would come into effect. Marlene wrote “Scenes from the History of Chinese in British Guyana”, a copy of which she presented to the University Library. One of the department’s mature students, Cedric “Spike” Mays was 45 years old when he enrolled on the course in 1952. 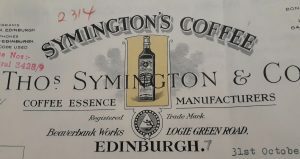 His application includes a letter of reference from Edwin Muir in his capacity as warden at Newbattle Abbey College where Mays was a contemporary of George Mackay Brown. Originally from Essex, Cedric’s memoir “Reuben’s Corner: An English Country Boyhood” was first published in 1969 and subsequently re-issued as “The Only Way Was Essex” in 2013. He kept in touch with staff in the department and refers in one of his letters to his association with Lieutenant Colonel Alfred Wintle, subject of the book and biopic “The Last Englishman”, for whom he was organising a lecture tour of the USA following the Colonel’s six month imprisonment. The pair had met while convalescing in a military hospital. Les was one of a number of Polish students who enrolled on the course. 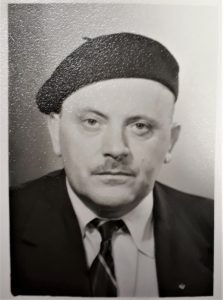 Originally from Warsaw, Les arrived in Britain during the Second World War and graduated from the University with a Certificate in Social Study in 1948. A gifted artist he went on to study at Edinburgh College of Art and finally became an art teacher in the north of England. He also exhibited several works at the Royal Scottish Academy. He died in 2003 and his obituary can be read here. It is also worth noting that at least four blind students studied at the department during this period. While attitudes of the staff varied as to the department’s capacity to cater for their needs, there was a general consensus that students with disabilities could be particularly suited to a career in social work. William Oliver, Professor of Organisation of Industry and Commerce, was especially enthusiastic, writing that he believed blind students “had a wonderful capacity for visualising the spoken word”. The Ogilvy Wederburn sisters Janet, Katherine and Elspeth all gained their Certificates in the 1930s while Helen and Hilda Noble were both approaching 40 years old when they graduated with Diplomas in the same decade. In addition six other sets of sisters gained qualifications from the department during this period, including one set of twins, perhaps showing that a predisposition to follow a certain path can run in families! Yolanda Vitolins b. 1930 d.2006. 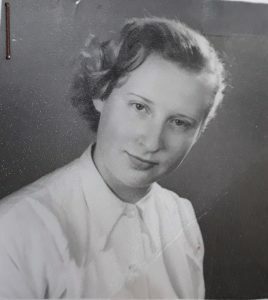 Originally from Latvia, Yolanda gained a Certificate in 1955 and went on to work at the Royal Edinburgh Hospital where she supervised students from the department on their placements. 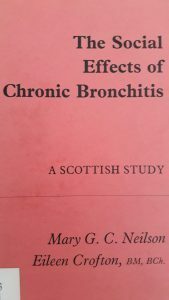 Dr Alexina McWhinnie (1923-2017) graduated from the department in 1943 and was awarded a Carnegie Scholarship to do her PhD which was on the subject of adoption. Her first book, “Adopted Children, How They Grow Up” was published in 1967. As a Senior Research Fellow at Dundee University Dr McWhinnie conducted research into IVF and Donor Insemination families and also edited Who Am I? a collection of essays written by DI adults. She was an advocate for the rights of adopted people and the donor conceived and was awarded an MBE in 2010. 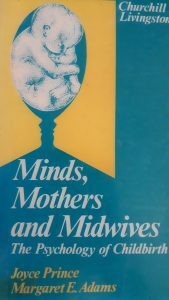 Kathleen Kufeldt (nee Galvin) would go on to have a very distinguished career, earning a PhD in child welfare, publishing many books and articles on the subject and teaching at the Universities of Newfoundland and New Brunswick. 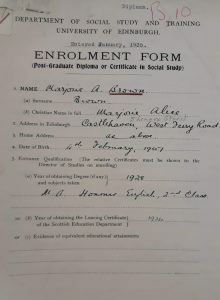 These files are so much more than simple application forms; they can tell us so much about the beginnings and subsequent development of social work education at the University of Edinburgh and the personalities of those who taught and studied here. 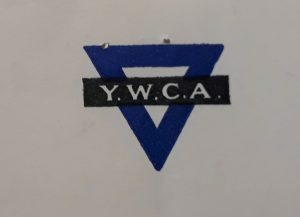 They can also tell us about the progression of this “new profession” and as an added bonus can often give us first hand accounts of social history – the evacuation of school children to Brighton, the journey of WAAF members to Australia via Africa and Hong Kong are just two examples. As such they are a really invaluable and unique resource. This entry was posted in education, Projects, Social Work, students, training and tagged Archives, Social Work, Students by socialwork100. Bookmark the permalink.